Stories about making music and whatever moves our souls. Hector Olivera was a child prodigy on the organ, having performed for the likes of Eva Perón, the first lady of Argentina, when he was only five. Hector has since become an international sensation, performing on all the great cathedral organs around the world, as well as embracing the possibilities of digital organs with his stunning live performances of classical as well as popular and movie transcriptions. 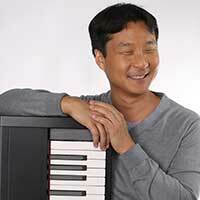 Hugh Sung is a classical pianist, techie, and author dedicated to helping folks discover the joy of making music.